Quto: Well my name is Bandit, I bark, I smile, and I.... Oh wait! You were talking to someone else? Okay! Okay! No one has yet asked me any questions. So here I put together a bunch of questions that I might ask myself. Oh, and this page might be updated from time to time. Cool, logo! But what do you mean with you call yourself a Idealist Author? Thanks! The reason why I call myself a Idealist Author is because I do a lot more than just writing. Idealist Author in this case would be the short way of saying: a person with a great imagination that pursues in high goals and is creator of many things. Why do you have cartoonist birds on most of your pictures? Also What does Quto mean? I will answer the last one first. I tend to misspell words a lot. So Quto is my version of quotes. I thought that it sound kind of nice so I decided to keep it the way it was. Now whenever I think of my made up word Quto I for some reason think of birds.... So as you can guess that's why I made the birds. Why do you add funny pictures on your author site instead of doing the traditional author site? 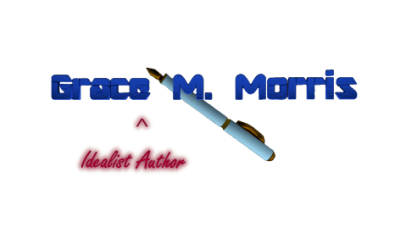 I was originally going to make a traditional author site, but I could never get past the 'What do you write about?' question. My mom came up with this really cool idea about adding pictures on my site instead of doing the traditional stuff. I asked Jesus to come into my life sometime when I was seven years old. I heard about Jesus dying on the cross for our sins and rising from the dead on the third day at the Sunday school class at our old church. Later that night I ask my sister more questions about it and prayed that night for Jesus to come into my life. What do you mean when you say that you want to write for God? I want my life to be for God. And I want to do what this verse says to do. God has provided a way for me to do this with my love for writing. So in my books the characters will have some sort of problem that can only be answered in the Bible. How long did you want to write? Oh boy this one is a hard one! Well I didn't exactly always wanted to be a writer. I also couldn't read very well. However one day that all changed, when my sister gave me a Nancy Drew book by Carolyn Keene. I love the book very much even though I had some problems reading it. I love how the story was mysterious. Well as you can now tell this book (that I can't remember which one it was) was the book that made me want to write.